Here is a Free Valentines Pack! We really love the series of the Old Lady Swallowed a… This pack matches up with that book and plus has many different activities in the pack. This a wonderful pack for Valentines. These Valentine’s printables are to be used with children from 2 to 8. These printables were made to go with the book There Was an Old Lady Who Swallowed a Rose! . Graphics: Granny Loves Valentines Line Art, Granny Loves Valentines, Valentine Sweets Line Art , and Valentine Sweets by Scrappin Doodles. Check here to download the Valentines Pack! This entry was posted in holiday, printable pack and tagged printables, valentines. Bookmark the permalink. Thanks for everything you do Deb! It was a lot of fun to make the pack. Yes you can use it! Love this! Printing now..thanks so much Cassie! I’m glad you like it. It was fun to make! I wasn’t planning on doing a valentines day study, but you might just have changed my mind! Great stuff. Hooray!!! It’s like you read my mind. Thank you for all your hard work. You are welcome! It was lots of fun to make. Another wonderful pack you created! 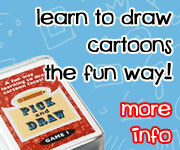 This will help make anyone’s Valentine’s Day learning so much more fun. I hope you and the girls have a Happy Valentine’s Day!! Thanks! We shall enjoy this. We have had fun working on everything. Pingback: Valentines Activities for Kids– Create and Share– and a GIVEAWAY! You create the best packs!! I’ve shared this on my Homeschool Holidays Activities board. Thank you for linking up to the Hearts for Home Blog Hop! Blessings! You are welcome. I’m glad that I can created them! Thank you for this cute Valentines Day Pack. My Preschoolers Love doing the activities. I love all your packs and use them with the children throughout the year and it has made a huge impact in their learning progress and has made learning fun for them! Pingback: Valentine’s Day Round Up (Part 2) | This Side of Mommyhood..
Pingback: Funschool: Valentine’s Day | Are We There Yet? Pingback: FREE 120 Paged Valentine’s Pack!